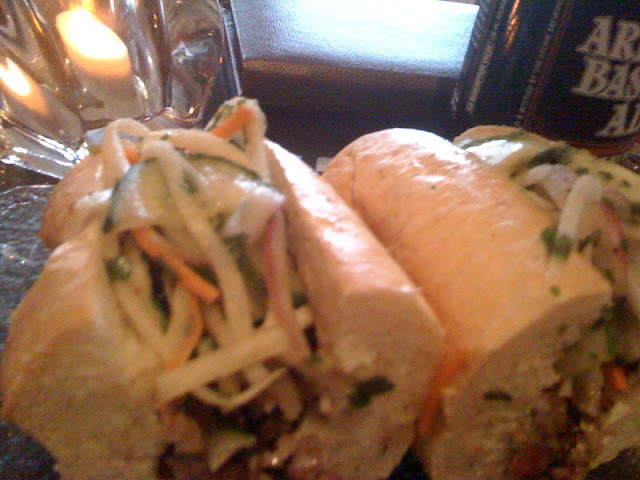 Hold up, a banh mi sandwich at a fancy Vegas steakhouse? Yep, there it is, smack in the middle of T-bones' special "T-Time" happy hour snack menu: thin-sliced ribeye on a crusty baguette with some zesty mayo, pickled cucumbers, red onions and carrots, and a little crispy taro chip action. It's not authentic, but it's not supposed to be, and it's not spicy but it packs a meaty punch. If a Vietnamese mainstay can make its way onto the finger foods menu in Summerlin's neighborhood casino flagship, that's a good thing.